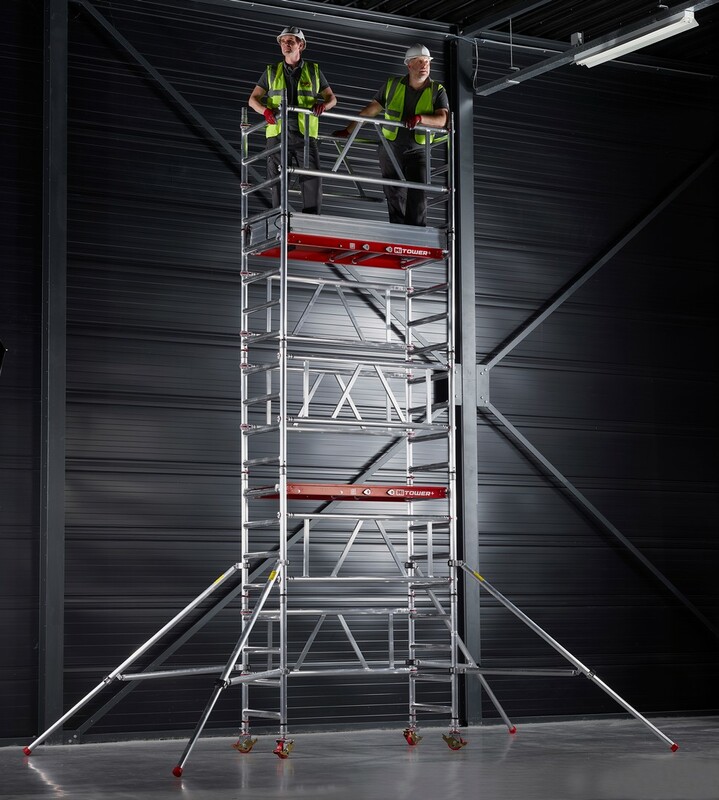 The new MiTower+ is the first one man quick-assembly access tower for use by two men with less than 15 minutes to complete safe assembly of up to an 6m tower. The quick assembly also enables easy to transport and reposition while the trolley used to store the parts also forms the base for the tower. Designed to be strong and robust yet with a small footprint, the MiTower+ consists of easy-hang hangers, stabilisers and frame clips to give an overall working capacity of 275kg.